Tish Allen with her mother, Eleanor Baker, January 2000. Installment #1. SEVEN GENERATIONS IN VICTOR, COLORADO AND THE MINING DISTRICT--The Way It Was. Memories of Eleanor Musser Baker (1920-2003) and her mother, Sadie Alstrum Musser (1890-1965). Installment #1 submitted (January 2018) by Tish Allen--daughter of Eleanor Musser Baker, granddaughter of Sadie Musser. My Mother, Eleanor Musser Baker, loved Victor. She was a 2nd generation Victor Native and lived 83 years loving Victor. Her mother, Sadie Musser, was born here in 1890. Both recorded years of memories of the area. 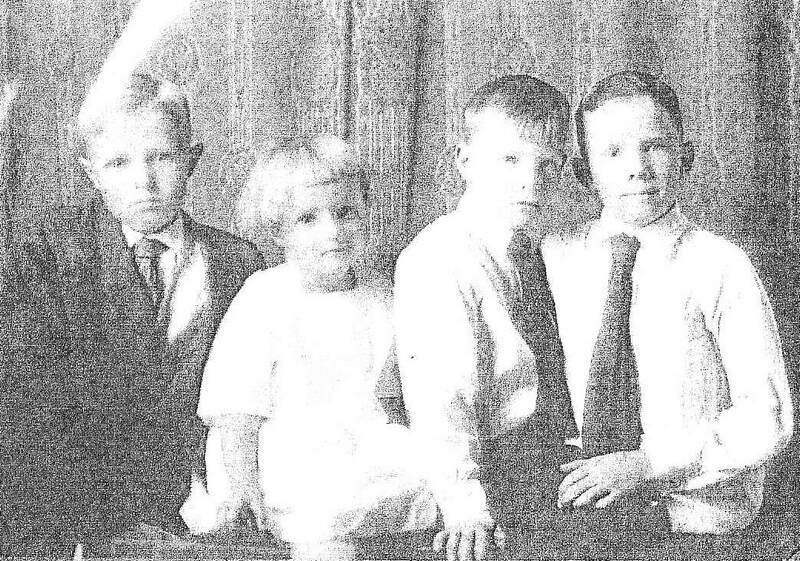 Children of Sadie and Reuben Musser, Sr (right to left) -- Martin (1911-30), Eleanor (1920-2003), Reuben, Jr (1916-97), & Carl (1912-89). Reuben Musser, Sr was born in 1884 and died in 1937 when Eleanor was 17 years old. Sadie Musser was born in 1890 and died in 1965. 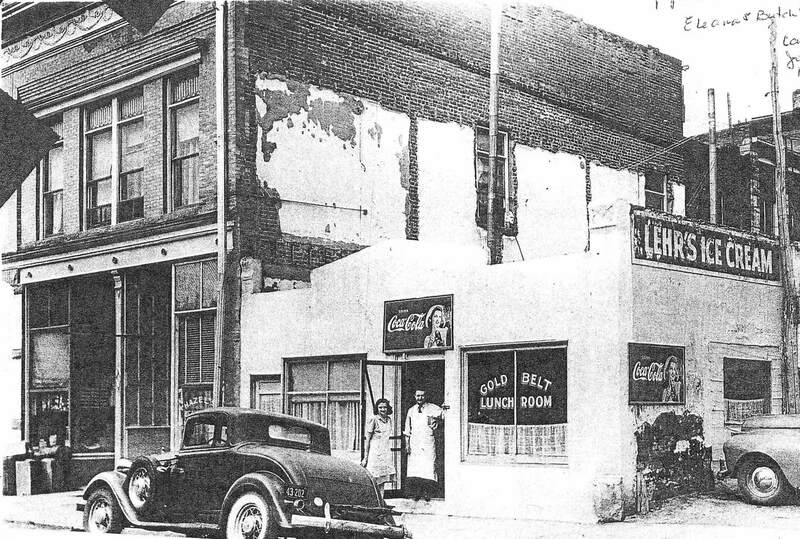 Gold Belt Lunchroom, Sadie Musser's Cafe on N 3rd St next to the Monarch Building, 1930s-40s. 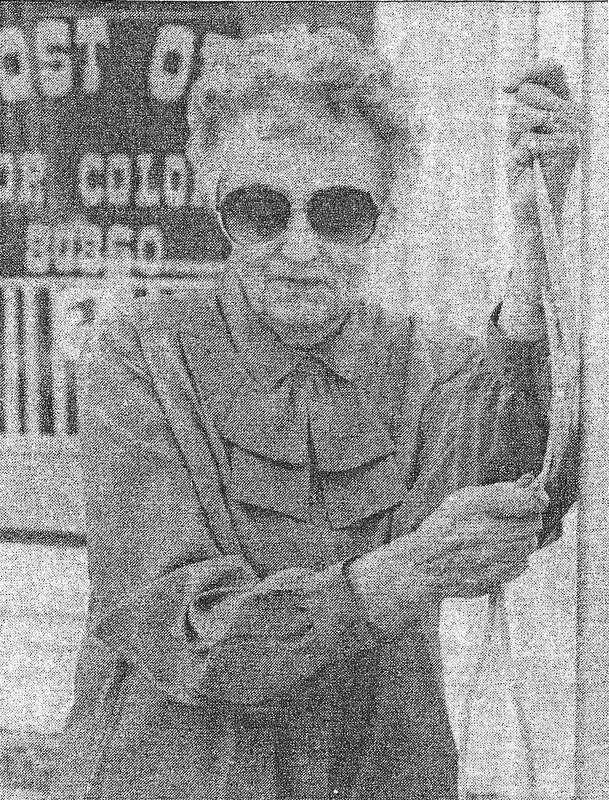 Standing in doorway is Eleanor Musser Baker with Butch Schafley (butcher at Rounds A.G. Store). The car parked at the curb belonged to Jake Baker (Eleanor's husband). 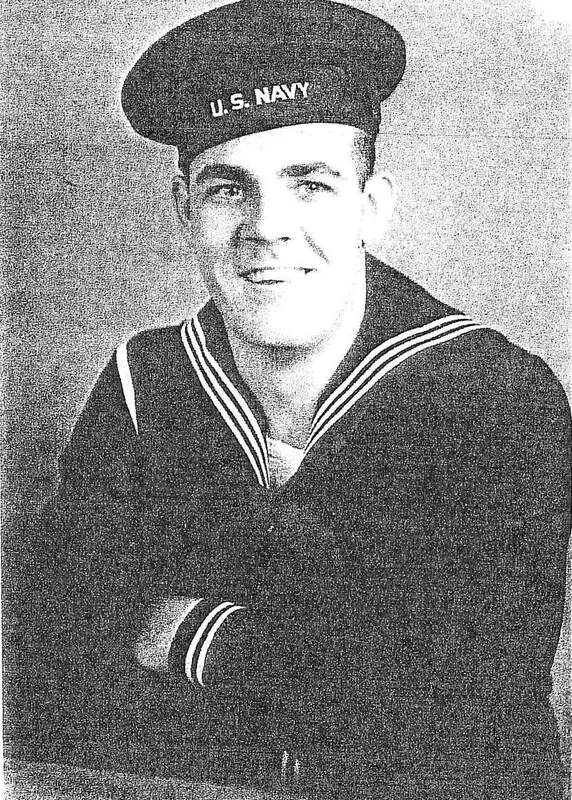 Jake Baker (1942) married Eleanor Musser. Jake and Eleanor Baker (1967). Eleanor Baker raising Victor Post Office flag. 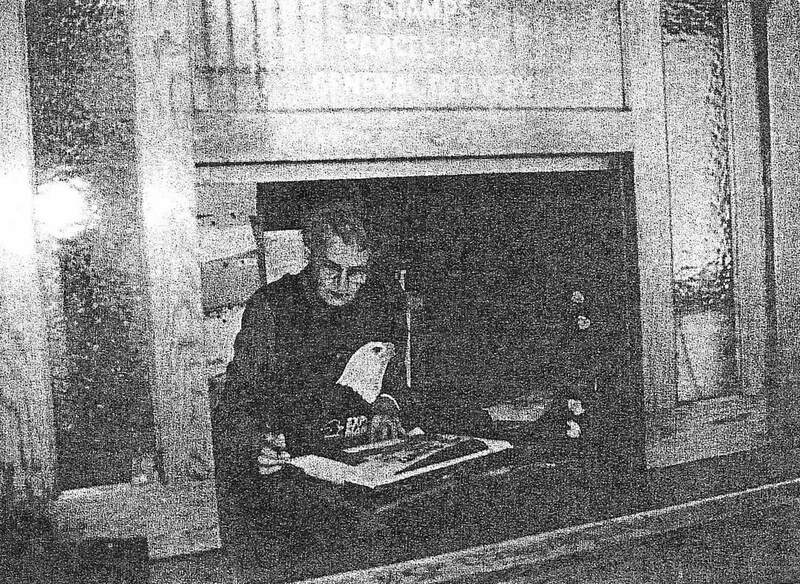 Eleanor Baker at Post Office where she retired as Postmaster after 43 years of service. 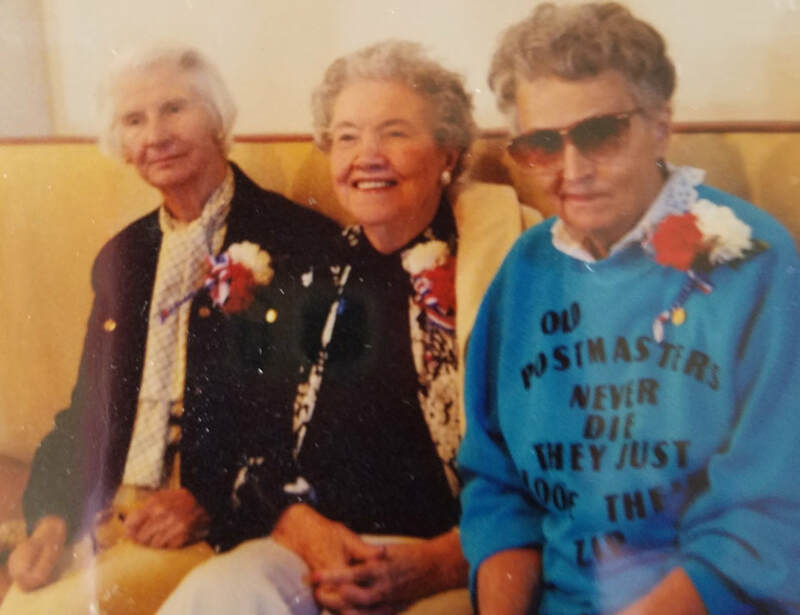 Retirement Party--Margaret Takavee, Mary Mendenhal, Eleanor Baker. Eleanor Baker (accompanied by Grandson Jake) was the Honored Grand Marshal of the 1992 Gold Rush Days Parade in Victor. Mom always recalled old friends, old experiences, and old places. Everyone has their favorite memories and my Mom and Grandma had theirs. Here are some notes my Mom recorded. Most come from mom after 1920, but some were recorded by her mother after 1890. 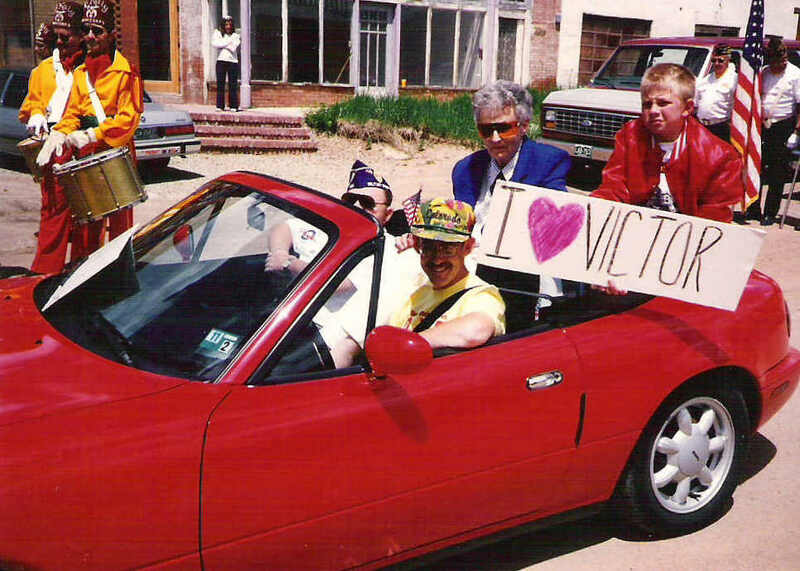 The City of Victor first started in 1892 and was incorporated May 15, 1894. The Mt. Rosa Placer was purchased by McKinney. He purchased it from Victor Adams. He then sold the property to the Woods Brothers and the Woods put it into a town site  and needed a name for it. They named it Victor after the original owner (Victor Adams). On March 4, 1898, news was received in Victor that the town had proudly entered the ranks of the cities of the second class. The Secretary State C.H.S. Whipple issued the necessary proclamation under the instructions of Governor Alva Adams. Jimmy Doyle started the first fire Department in Victor and presented the City with a fine hand pulled hose cart. It was known as Doyle’s Hose Company No. l. One year later Doyle gave the City a fire wagon costing $1,000. It was made by the Honest John Williams Blacksmith Shop on North 2nd Street—all hand work. The wagon was still in use in 1965 on a ranch near Gillette. William Jennings Bryan spoke in Victor and his platform was moved out to the South side of town so there would be more room for the crowd that assembled to hear the silver tongued orator. The office of Victor Times was badly damaged by fire from the explosion of a gasoline tank. The north end of the building was practically destroyed, a new linotype machine was damaged, and there was damage to stock and the press. P. Wilkins was badly scorched in the explosion. This 1896 colorized map is captioned as follows: "Town of Victor is possessed of all modern conveniences -- water, electric light, telephone service, paid fire department, etc. Also two of the richest gold mines in the world within its limits. Population 9,000." In the left half of the map, the large reddish building with a cone-shaped tower depicts the original Victor Hotel constructed on the NW corner of 4th & Victor Avenue by the Woods Family. To the west of the hotel, Victor Ave slopes downward to a bridge in the gulch. The trestle above the bridge served the Florence & Cripple Creek Railroad which traveled on through the "cut" where Highway 67 is now located. All fairs, circuses and drilling contests were held down in the gulch on South 4th street. The Spicer mine, the Little Montana mine, the Mt. Rosa, the Jolly Tar, the St. Patrick, the Gold Coin, the Mary Cashen, and Golconda mines were all operating in the city limits of Victor. The street cars stopped on 4th and Victor Avenue. Dos Milner of Victor was seriously injured on Aug 29, 1900 while attempting to board an F&CC passenger train about 50 feet west of the Fourth Street crossing. Just as the engine came alongside of him he suddenly turned as if to reach for a hand hold when he was struck and knocked down. He fell toward the train, his feet sliding under. The wheels of the front car passed over his left leg completely crushing it. He was taken to his home on the corner of 6th St. and Spicer and attended by Drs. McKenzie and Cohen. The only Bull Fight in the United States was held at Gillette. The “high line” stopped on North 5th near Granite Avenue. There was a train every 20 minutes on the Florence and Cripple Creek Rail Road and a total of 52 street cars and trains coming into Victor every 24 hours. Stratton lived where the old Conoco oil tanks are now situated in the Cunningham Addition. President Roosevelt visited the district with [Senator] Wolcott. The Florence and Cripple Creek Railroad built their stone station at 4th and Diamond. It was a miniature Union Station. The Gold Coin Club was having the best fighters in the West. Jack Johnson was a partner there. Young Corbett fought there. Morgan Williams, the fighting miner, got his start at the club and won over Mexican Pete who lived here then. Eleanor’s father [Reuben Musser] also was one of the locals from Victor who would ‘spar’ against the prize fighter Jack Dempsey when he was in Victor and on his way to heavyweight boxing. The mines used colored candles. You could tell where a man worked by the color of the candle grease on his clothes. If he looked like a rainbow he was a “ten-day man”. The Baptist Church was a frame two-room house located where the Gold Coin Mine is. When the Woods Brothers moved the church to make room for the mine and placed the structure on a high cribbing at 5th and Victor Avenue, the wind blew it down. Mrs. Woods persuaded them to replace it with a new building on 4th and Portland. They spent a large sum and the Baptist Church remains one of the best built churches in the state for its size. 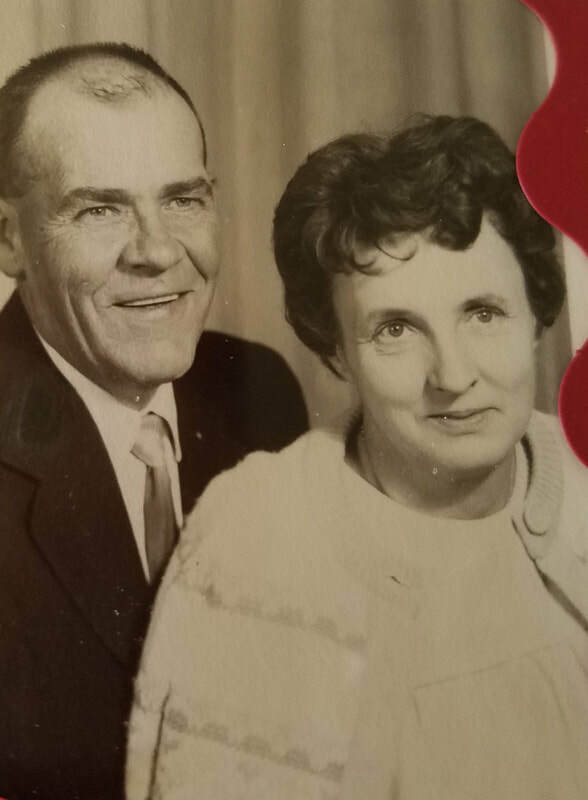 ​CLICK HERE FOR INSTALLMENT #2 of this "Remember When" series recalled by Eleanor Baker and her mother, Sadie Musser.